writing, drawings of your favourite characters, little hearts, stars and roses and sparkly details? Stepping off the escalator in the Liverpool store and photographing these beauties brought those feelings flooding back. 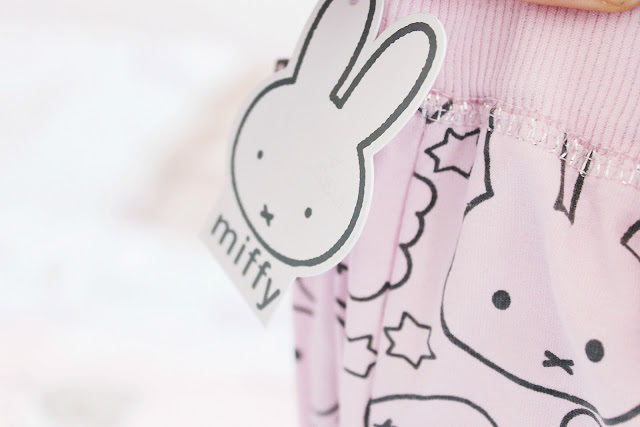 You know you're a five year old when you... can't resist taking Miffy pyjamas home with you. I'd like to say I stood in the aisle umming and ahhing a while but it was more a case of ahhh yasss baby pink and bunnies! This perfect weekend Pusheen tee knows me too well, it's too cute. If only every weekend was filled with blogging and eating pudding; maybe replace partying with extra Ben and Jerry's, what do you think? 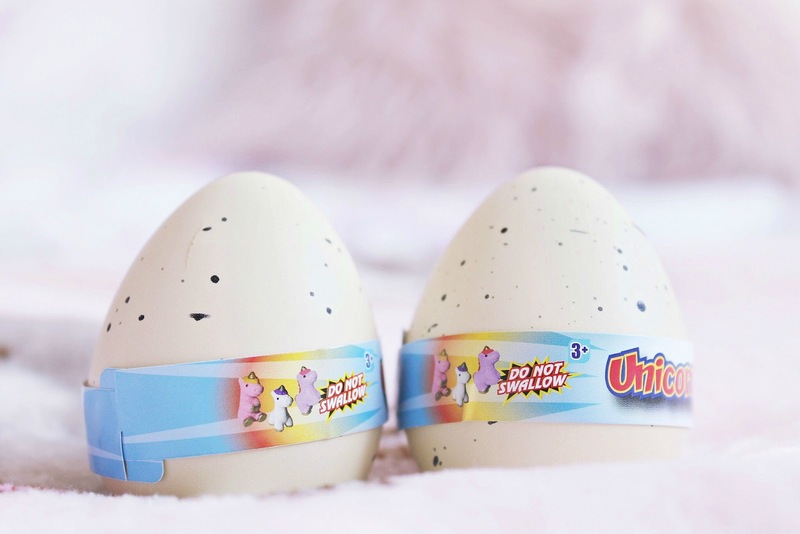 Magic growing unicorn eggs, I'm not even sorry. These were my favourite things to find in my stocking at Christmas and I would give the creatures their own names and identities when they hatched. When I saw the Works were selling these unicorn babies at £1.50 each, I had to grab a few! For nostalgia, I keep telling myself. Self confessed crazy pyjama lady here, especially when it comes to the new Beauty and the Beast x Primark collaboration pieces. There was only one size left of these beautiful night dresses in stock, which was several sizes too big for me, but I decided to get it anyway. I love oversized pyjamas, they are so comfy and cosy and make you feel like a little kid wearing them, plus the glitter writing and mini Chips may have swayed me. 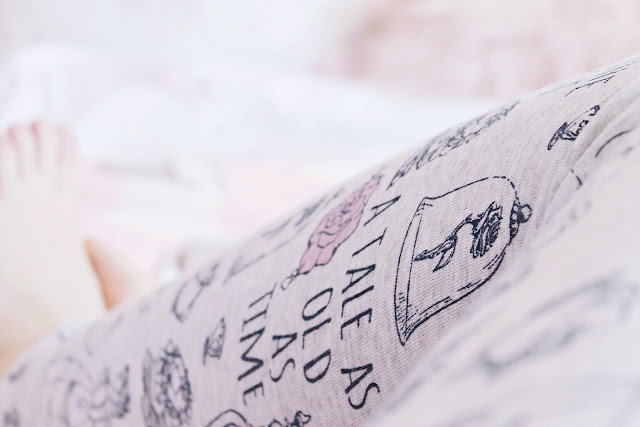 I picked these Beauty and Beast pyjama leggings up for only £8 and managed to score the last in my size, a M! I'm quite tall so I was afraid they would come up short on me but they fit perfectly and are so comfy. I can't get enough of the little character illustrations, 'Tale as old as time' scriptures, miniature chip cups and roses. I couldn't resist adding a couple of my newest Disney store squeezes in here. Meet special edition Daisy and Chip (?) Chip is dressed up as a coconut and is even coconut scented, while Daisy is dressed in the sweetest little floral headband and skirt. 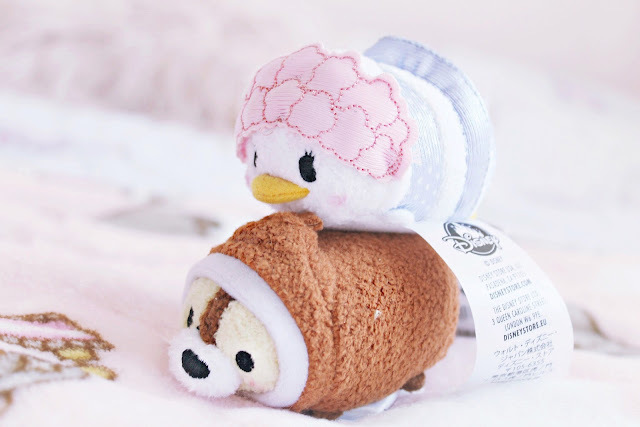 It made me so happy to see rare tsums I'd never come across before. 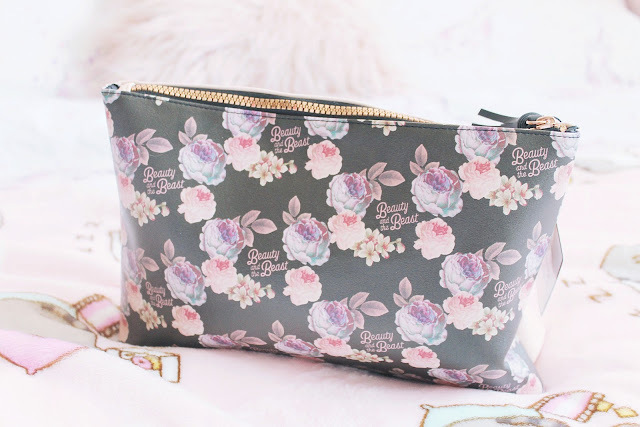 This wash bag is so dreamy, I wanted to photograph it all day. It came in two sizes, a small for £3 and larger for £5. I chose the latter as you get so much space inside for only £2 extra! 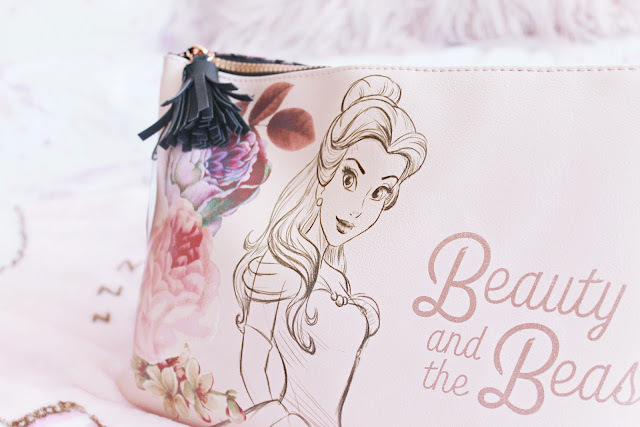 On the front is a beautiful drawing of Belle and floral motifs, with a rose gold zip. It's so spacious I could carry my shopping inside, almost! You got the cutest things this time, girl! And yes, no shame cause I would be the same. Every time I'm in the stuffed animal section, my bf has to pretend he doesn't know me haha. Oh my gosh I LOVE the pjamas section in Primark, especially if they have anything Harry Potter or Hello Kitty related (granted, I haven't seen any HK yet, but when I do I'll be all over it). I think it's good to be in touch with our "inner child" - you become so much more carefree and creative! I collect tsums, It's a habit I can't get out of: I even ended up buying the big ones! Wow, these are too cute! 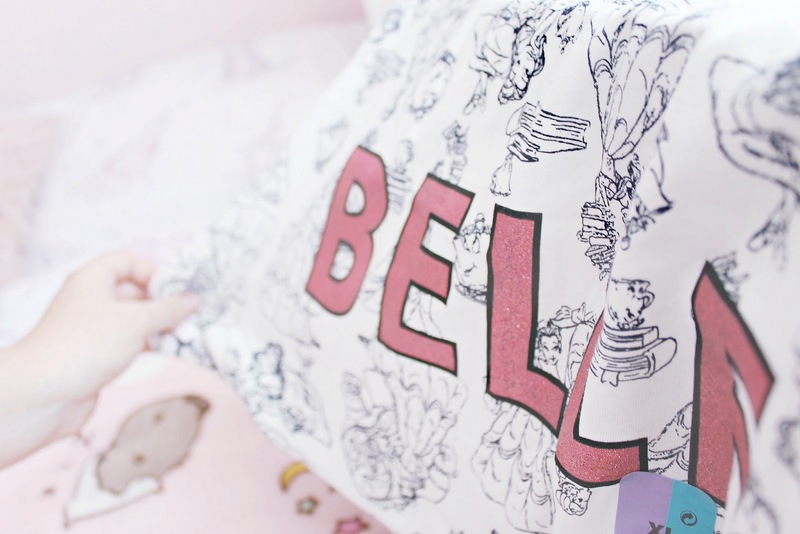 Printed pajamas and cute pouches are my favorites too! <3 Great haul girl! 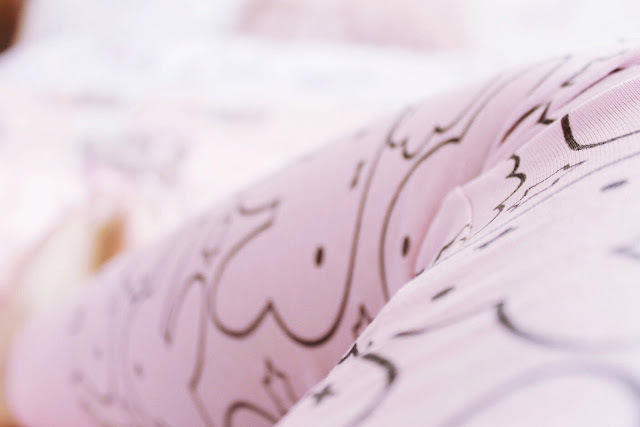 So glad to have become acquainted with you and your delightful blog! 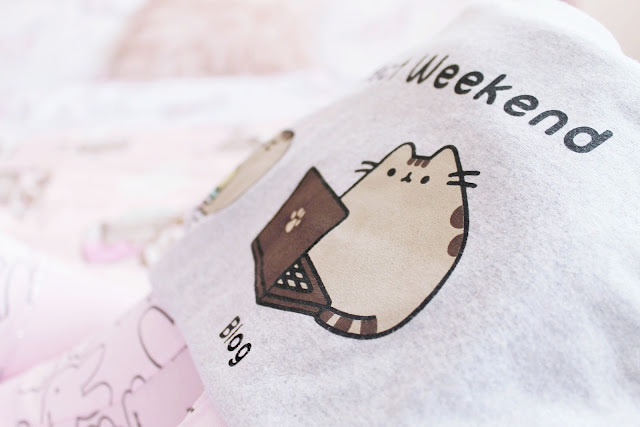 Primark has really upped it's game of late, all of your purchases are soo adorable! I too am a sucker for childhood nostalgia so I may have to go on a quest for those Miffy pajamas too! Love these! Especially the Beauty and the Beast makeup bags. Oh my! They're so cute. 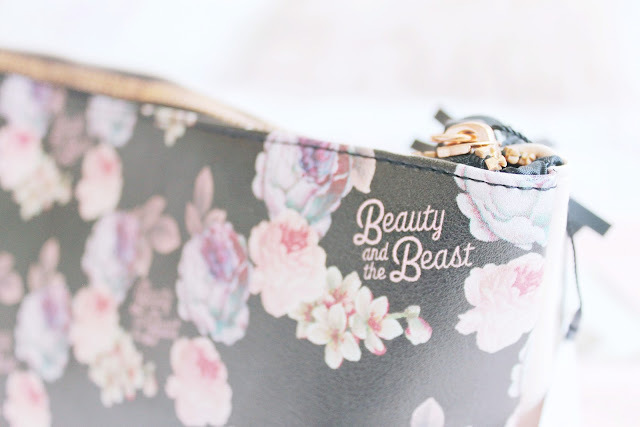 I love them all especially the beauty and the beast bag. So dreamy indeed.